Spring starting on the deck. Last year I purchased a Flamenco Red Trumpet Vine (Campsis) from Amazon. I planted it and nothing happened. As a matter of fact what leaves it had fell off, and I thought it died, for what ever reason. Well I was wrong. 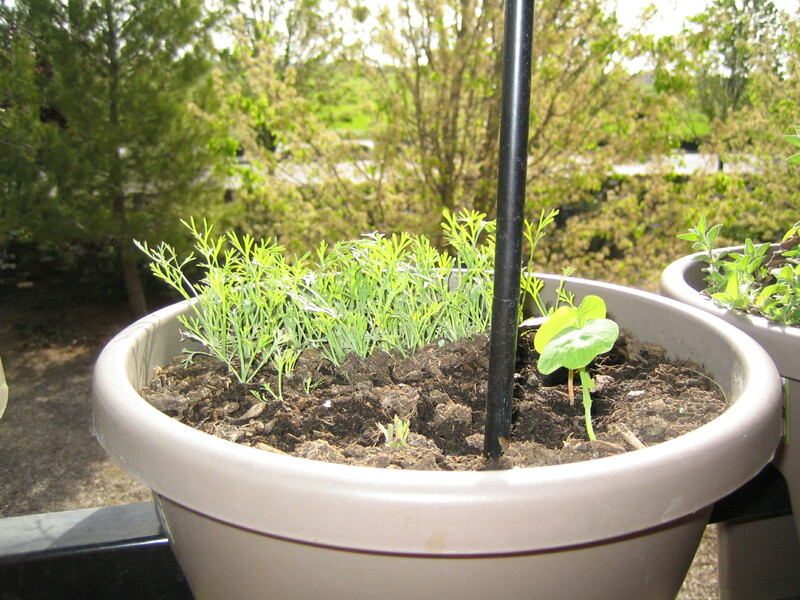 I had left the stick of a stem in the pot on the deck, and low and behold I have leaves. 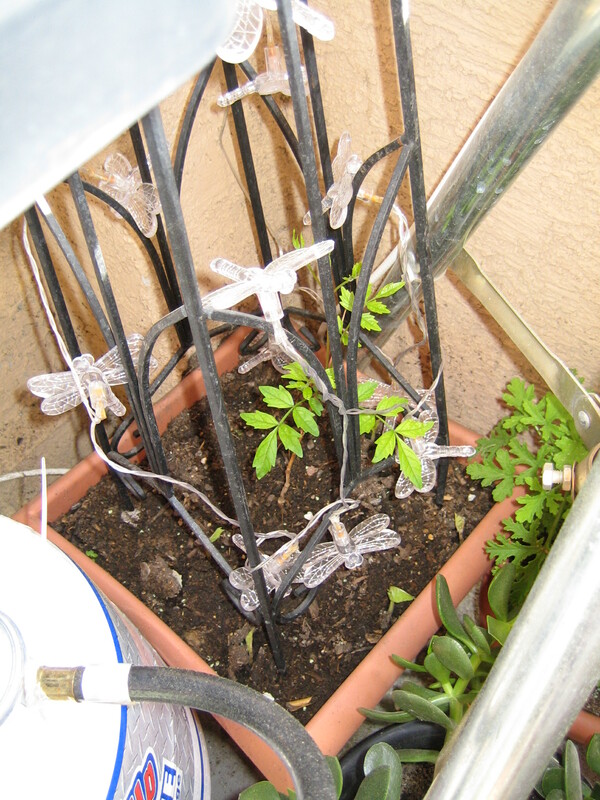 Thinking I was not going to have this vine, I planted Scarlet Runner Beans in this pot. 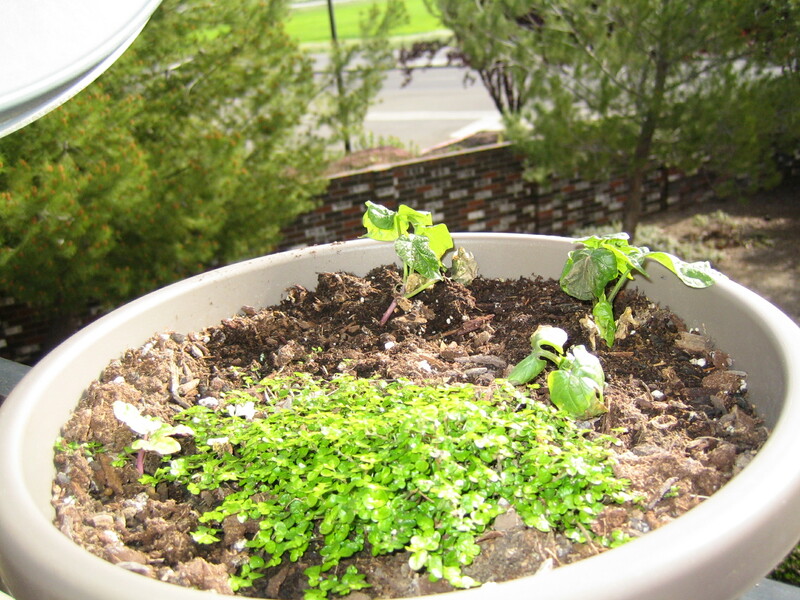 The seeds got planted around the outside of this pot so they would have the trestle to hold on to early in their growth. Some of these are coming up now. This will be an interesting pot as things get going. My scarlet flame zinnias are also starting to peek out. 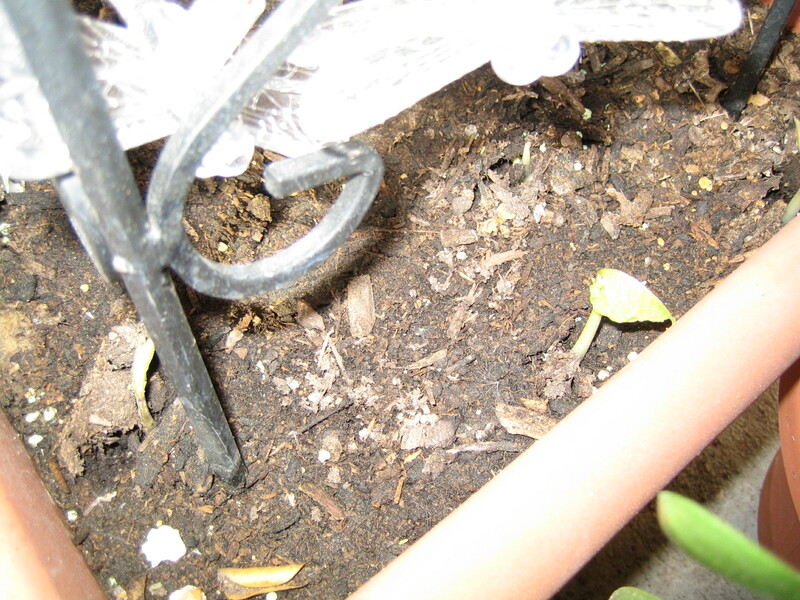 I have noticed that maybe half the seeds germinated. 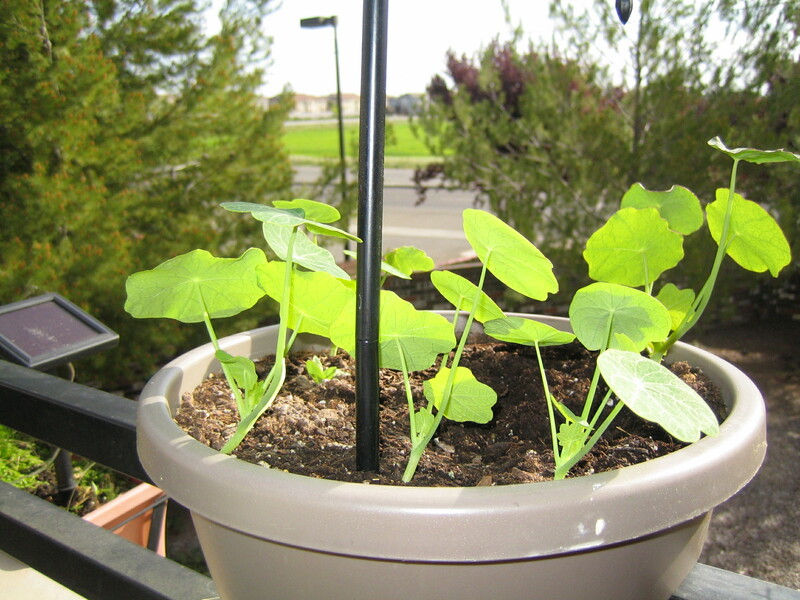 I planted them in a pot with some Summer Charm Nasturtium, as well as in one of the window boxes. 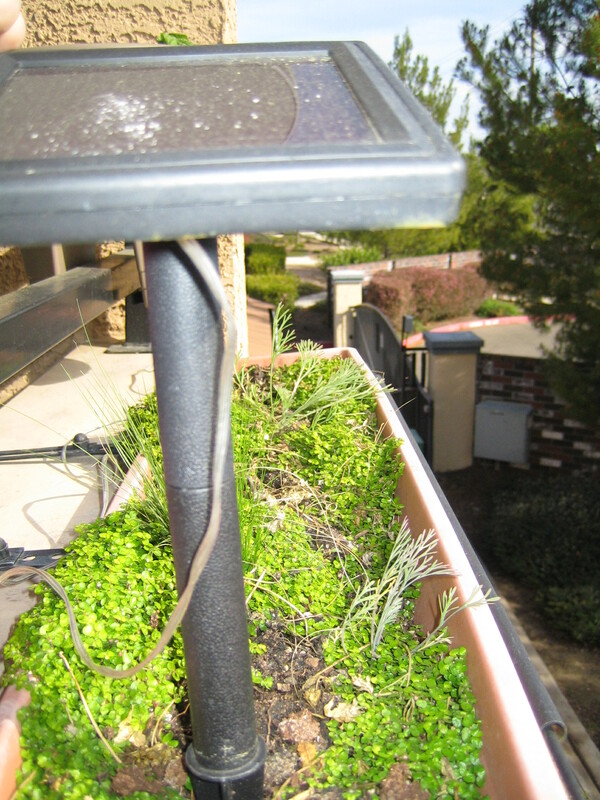 The Window box has California poppies, an ornamental grass as well as a cute little ground cover. The ground cover tends to fall back as the summer gets warm. I am thinking with these taller plants in there to shade it a bit, I am more likely to have it last through the summer. 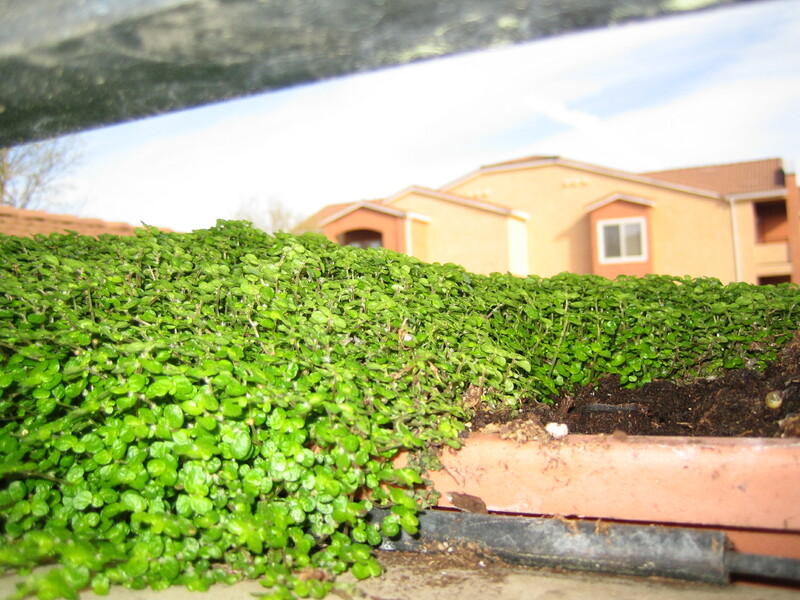 One of my window boxes is completely taken over by this ground cover. It is lovely lush and green. I have scattered what seeds I had left over of the Scarlet Flame Zinnias and the Summer Charm Nasturtium in other pots. 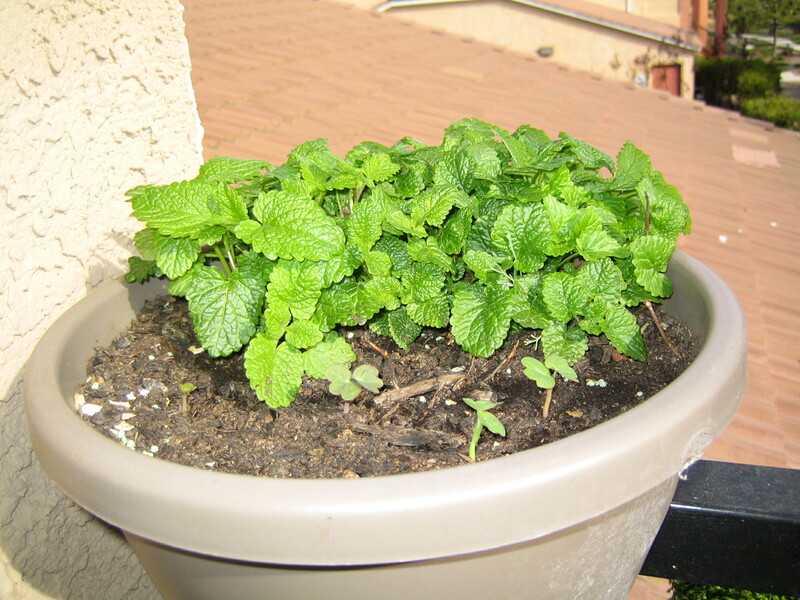 My pot with my Melissa (lemon balm) has a few in it, as does my California poppies. I am hoping these plants make a vibrant colorful display. 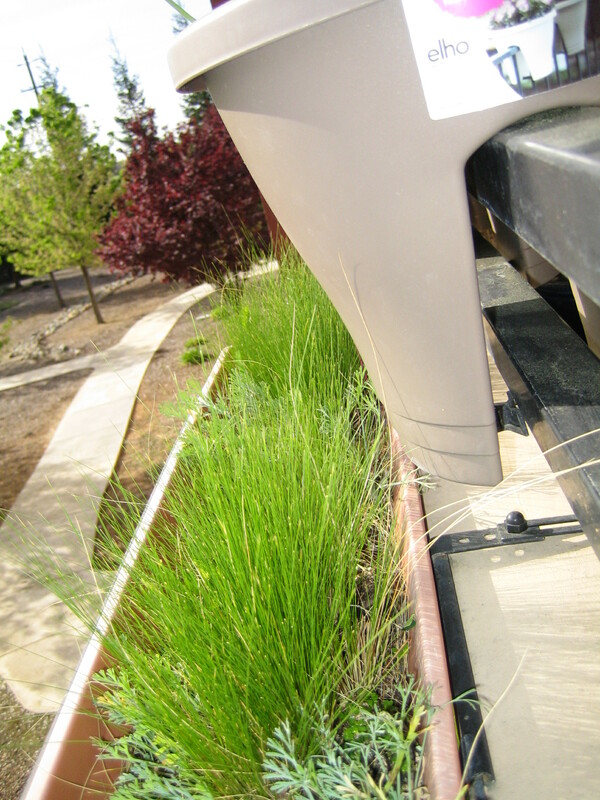 With the intermixing of green I am hoping for a nice deck garden. I will keep you all up to date as things grow.